How to create check box column in datagridview C#.NET? In this article I am going to explain about how to show checkbox column in the datagridview control in C#.NET windows application. Using this simple code to create check box column in your project. For example we are displayed large number of data in the datagridview control, sometimes we need to delete more number of records from the database or processed only some records in the datagridview. In that situation we are used checkbox column. 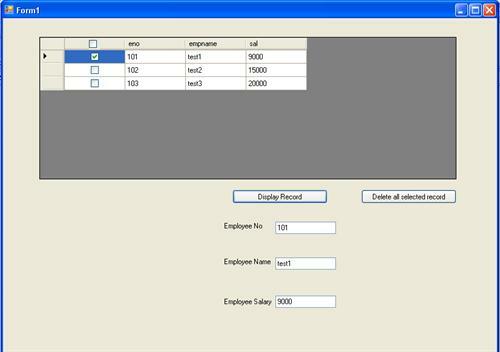 Based on the checkbox column selection perform delete or any other process. In this code snippet I am explained in detail about that process. Placed one datagridview control in the form design. I hope this article help you to know about datagridview checkbox column. Thanks man thanks a lot needed it.